Originally a Victorian health spa resort, Dunblane Hydro has become a very well known and loved landmark, in the Town of Dunblane Crieff and Bridge of Allan are two other local Spa Towns in the Stirling area. ‘Taking the waters’ was a popular pursuit in Victorian Britain, with rheumatism, alcoholic related diseases and depression just some of the ailments which could supposedly be “cured” by the various waters, on offer. Although I am sceptical regarding “Taking the waters” and the ailments they were supposed to cure More likely just an invention of an enterprising Victorian out to make a quick buck from the gullible masses. Water is an essential element for life especially for humans Without water to drink we wouldn’t live for long As for curing illnesses that to me is a step too far. The best water, I have personally ever tasted, was up in the Scottish Highlands where my Grandparents lived The water came straight out of the domestic tap in my Grandparents kitchen and had a slight brown tinge to it This was due to peat being present and it was just delicious Just a childhood memory you might suggest, however, whenever the local Minister visited a member of his congregation in Hospital in far off Inverness they always asked him to take in a bottle of water from “home”. The rhyme “Water water everywhere and not a drop to drink” always confused me as a child With advances in modern technology even the salt water of the oceans can be filtered and made safe to drink. One of the best weddings I ever attended was held in Dunblane Hydro Having been invited to the Evening Reception a great buffet was anticipated Unfortunately it consisted of Shortbread and Wedding Cake and being a canny Scot I had starved myself all day in anticipation of the feast to come…………….. Some might argue that this wasn’t much of a Reception, to the contrary it was the best ever, drinking on a near empty stomach meant that the evening was a very jolly affair! 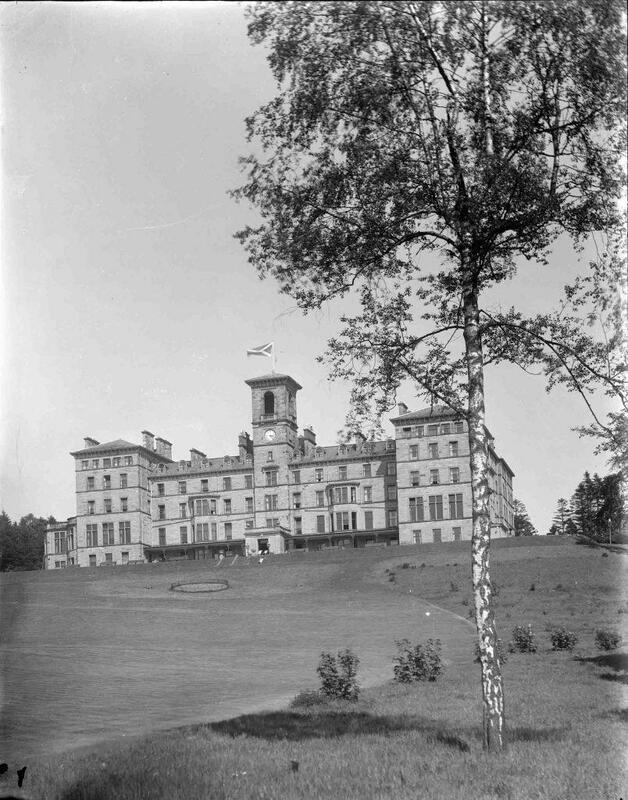 I didn’t “Take the waters” at the Dunblane Hydro, as the drinks from the Bar tasted even better, although I did suffer from a new ailment the following morning, which no amount of water Spa or otherwise would cure!